So I know that everyone is all crushing on GoTG currently. 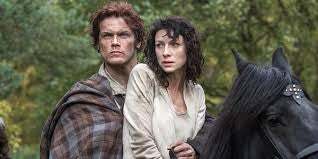 But has anyone but me watched the first ep of Outlander yet? It's been released on Starz.com and On Demand a week early. I also understand that there's a youtube release for those not in the US. I'd like to discuss and fangirl a bit. No spoilers though, please, since the premier isn't until August 9. The Full Expanse Trailer is Here!